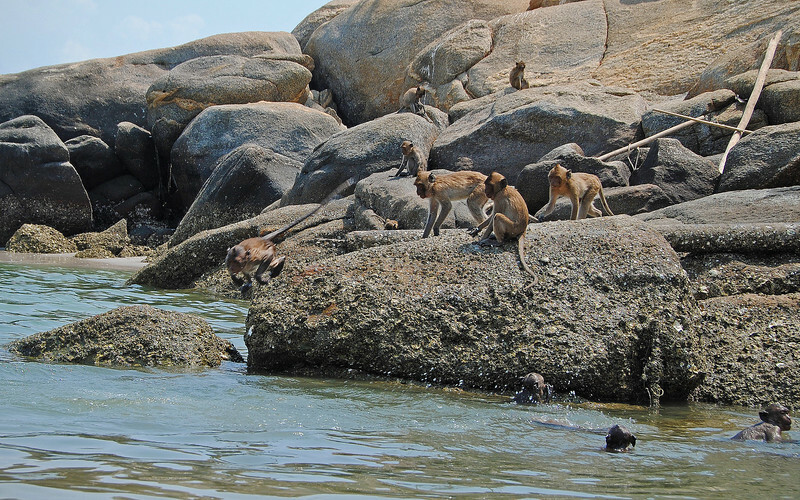 Mar 26 2016: When Monkeys Attack! 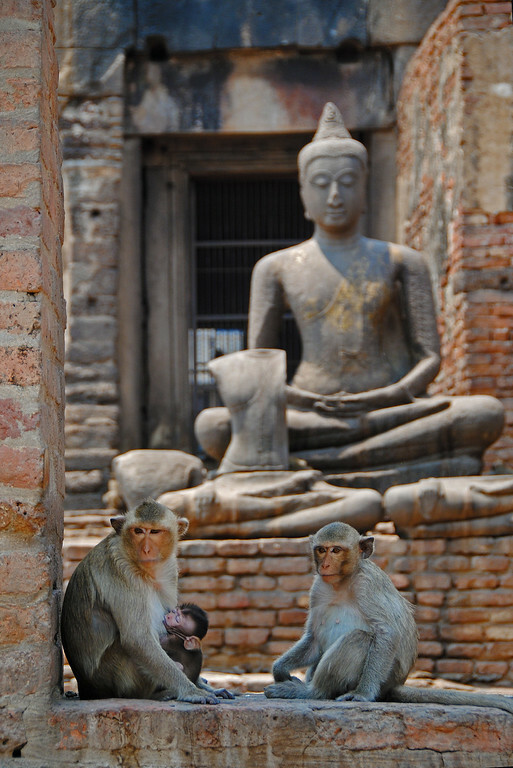 Lopburi is only an hour north of Ayutthaya, but the Buddhist temple there, Phra Prang Sam Yot, is a major tourist attraction. 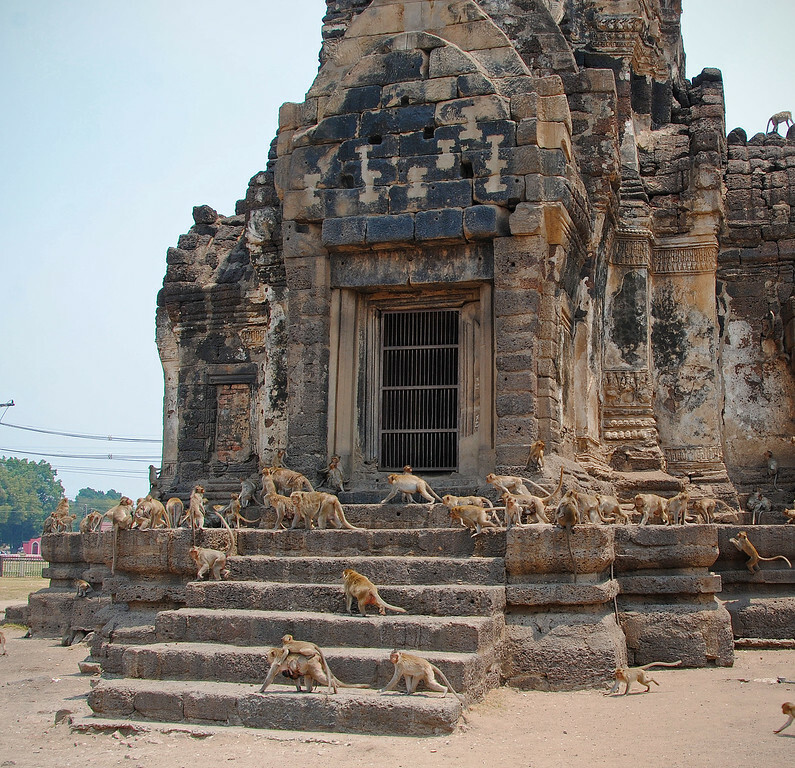 It would be totally like a scene out of an Indiana Jones movie, were it not for the fact that the temple is on a tiny grounds that is surrounded by the busy city of Lopburi. The owner of the hotel last night in Ayutthaya warned us against coming here. 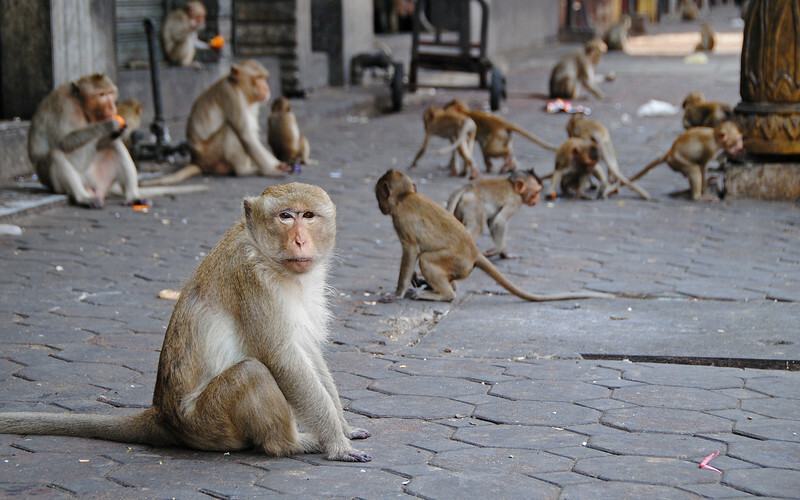 The monkeys sometimes get very aggressive with the tourists (especially if they think you are hiding food from them) and there have been some reports of rabies due to bites and scratches. 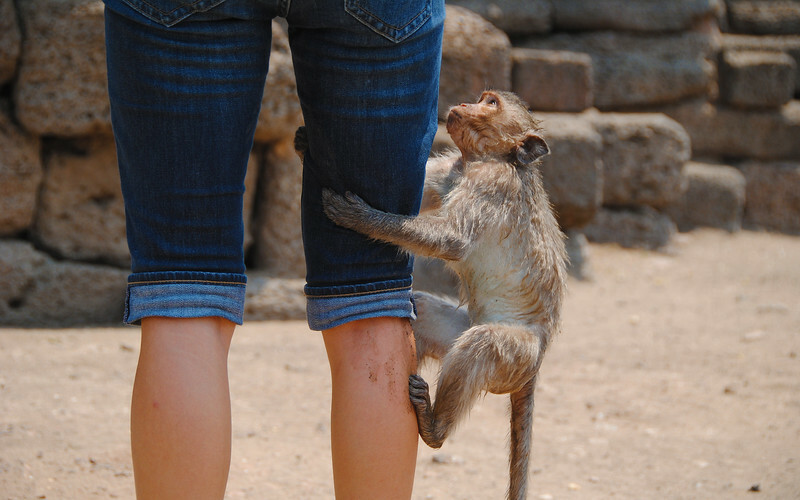 It's the baby monkeys that are the most daring. 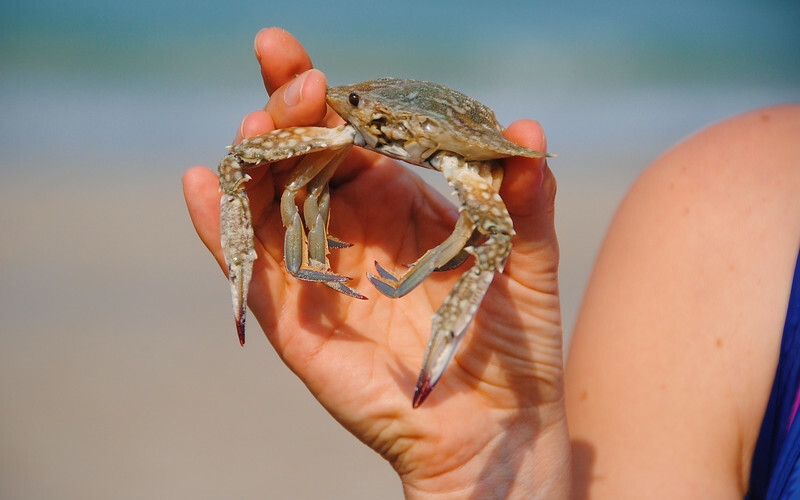 They sneak up on tourists behind their backs and look for piggy back rides. There are signs on the temple gates advising people to leave their wallets, glasses, cell phones, etc. 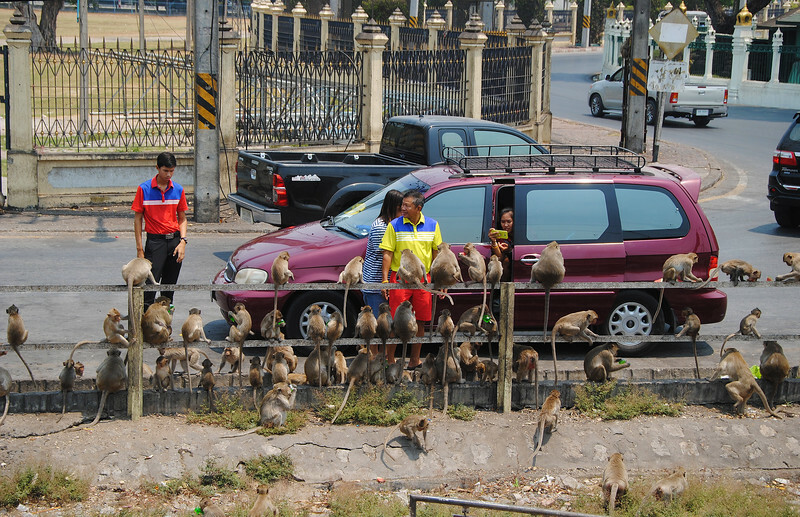 in the car because the curious monkeys will find them, play with them and break them. Sounds like something I would do. Huh, I should really be wearing a sign like that around my neck! 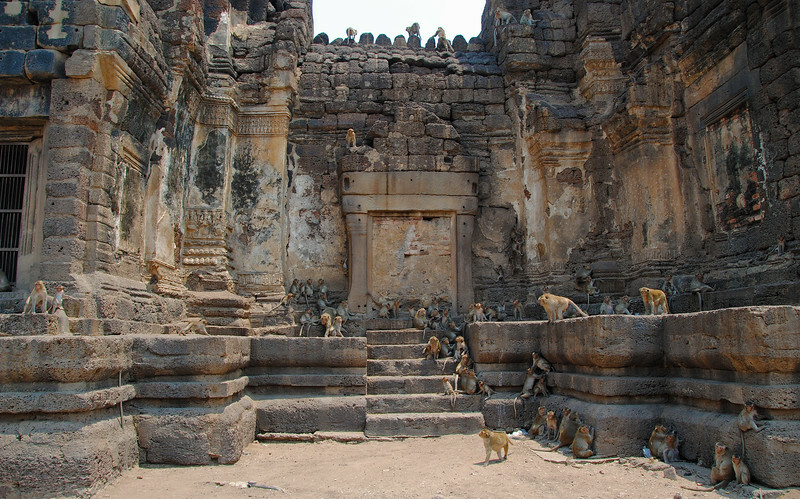 There's a security guard at the gate of the temple. 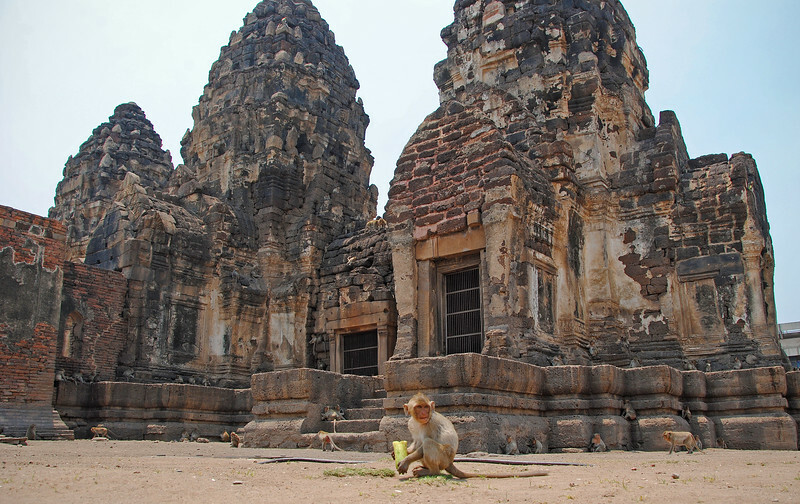 But we soon discovered he is not guarding the temple from tourists. 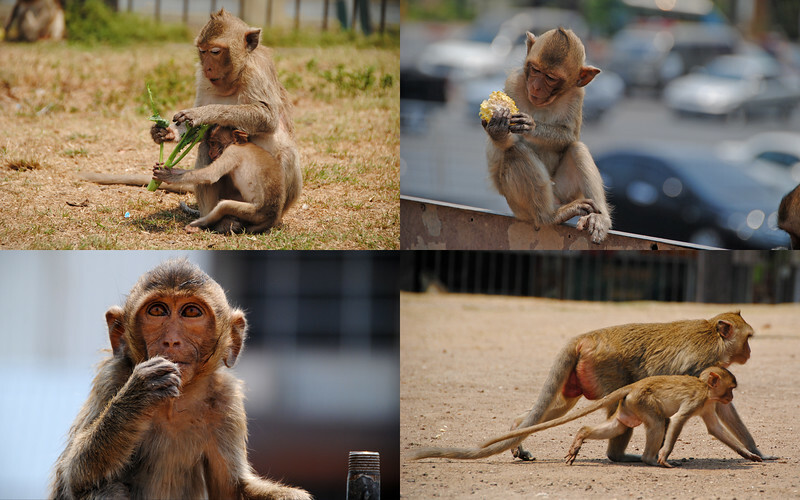 He carries a stick that he uses to beat away the more aggressive monkeys. He also uses a slingshot that he pings rocks at them. I was happy because either he was a really bad shot or he just aims in their general direction to scare them off! 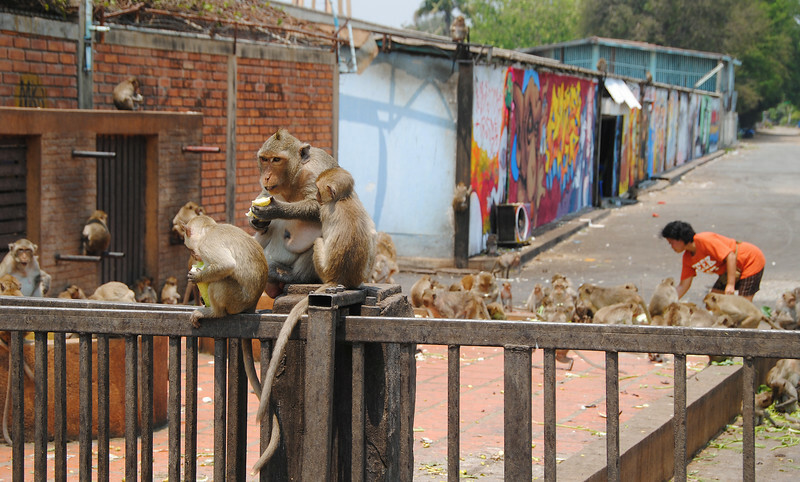 You'd think the locals would be sick of their town being overrun by monkeys, but we saw many people drive up and dump food near the grounds. 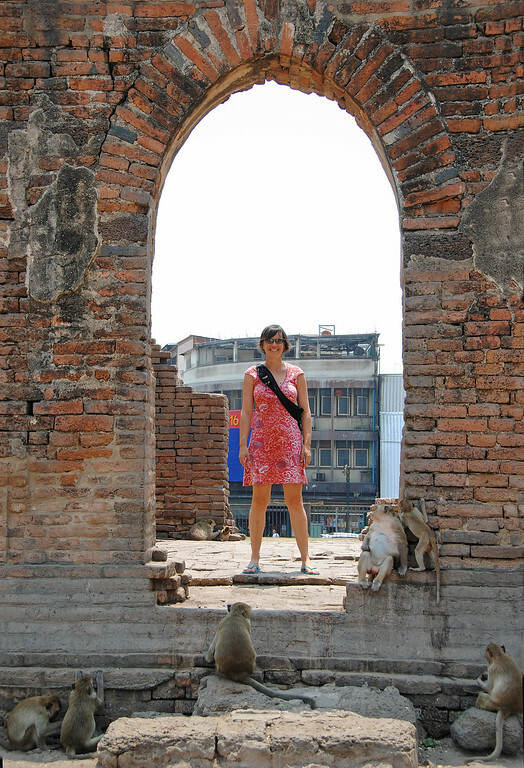 I think the monkeys are good for tourism. And then tourists come and bring them more food. These guys are well fed. SO cute! 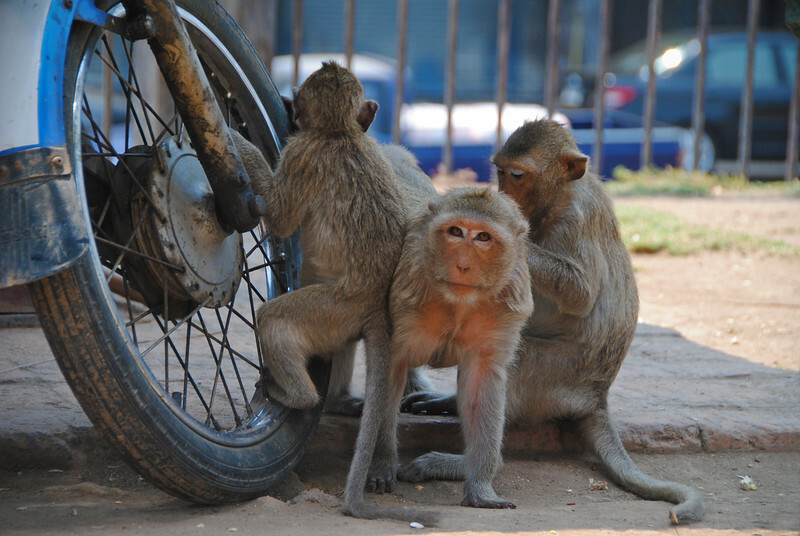 Especially the ones hanging onto their momma monkeys. I don't think they took over recently. 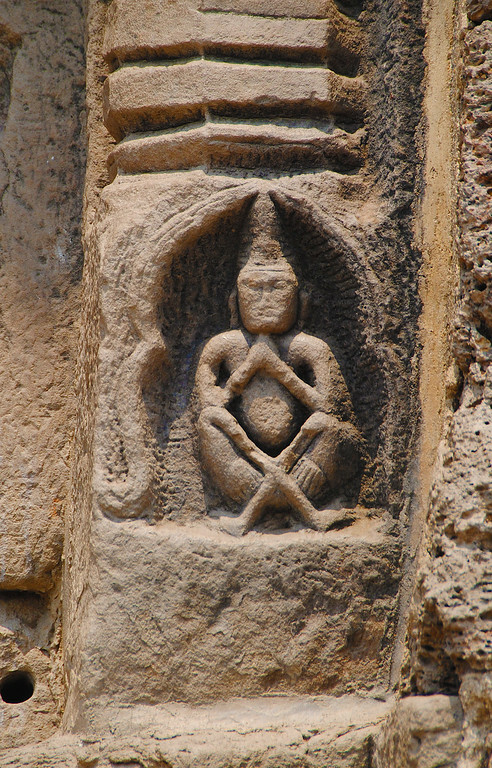 Engravings of monkeys adorn the temple. 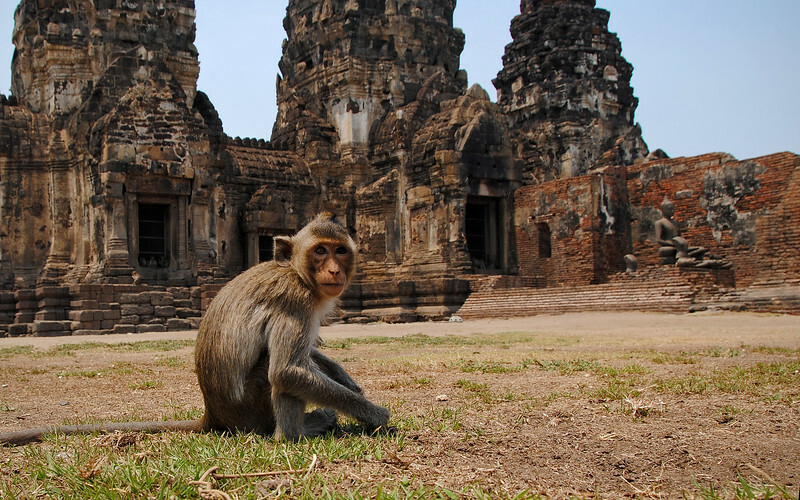 Farewell, Monkey Temple of Lopburi! 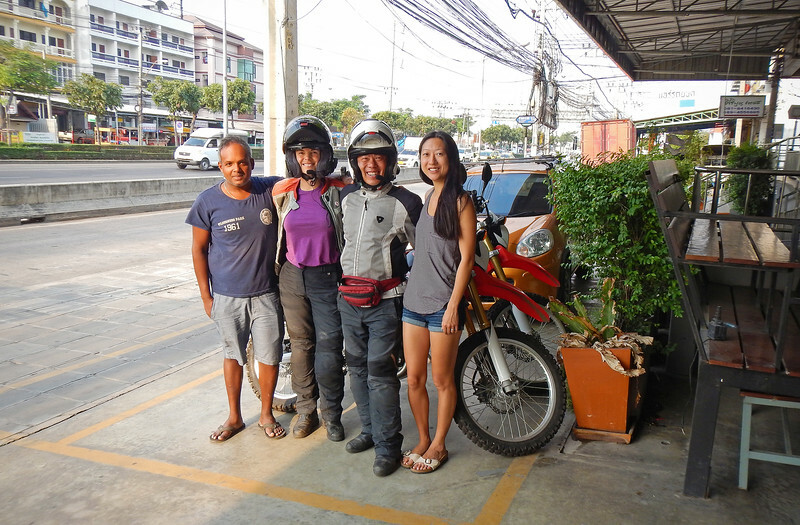 We drove back down to Bangkok and spent a last evening with Anton and Mel. It was very sad leaving them mainly because they are our friends, but partly because we knew this would be last time we would be able to speak English in complete sentences for a long time... It's been almost two weeks with them and by the end, I was actually using pronouns and multi-syllable words. I also wore pants. Most of the time. Early morning departure. Bye Anton and Mel, thanks for coming to visit us!!! 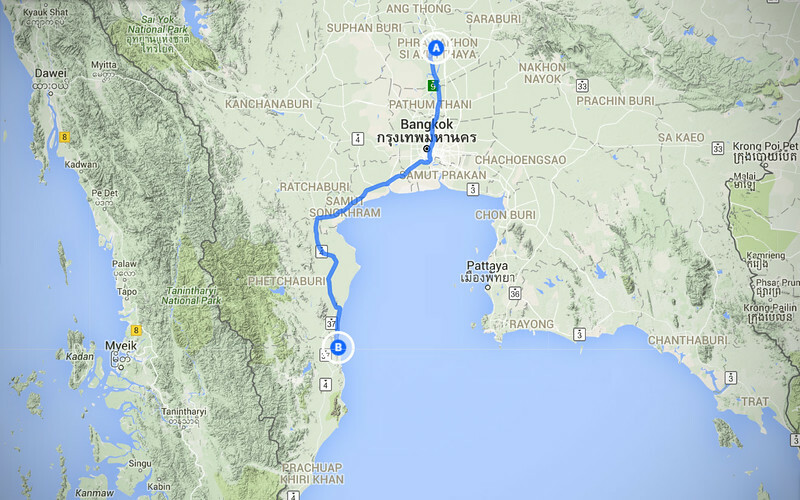 We left Bangkok early in the morning to beat both the heat and the traffic. The highways around the capital city differs from the rest of the country because motorcyclists are banned from using them. I think this is because most of the bikes are low displacement and aren't capable of traveling 100km/h. Unfortunately this isn't fair to the bikes that *are* capable of achieving that speed, which our 250cc dirtbikes are able to do, although they sound like they are going to self-detonate at that speed. I led our way out of the city and one time I inadvertently got us onto the No-Bikes-Allowed highway. We frantically searched for an exit ramp and lucky for us we found one because not half a km after we exited, we saw a policeman ticket a Thai motorcyclist who was using the highway. 2000 baht fine! That's like $75, which is a huge amount considering how far that can go in Thailand. 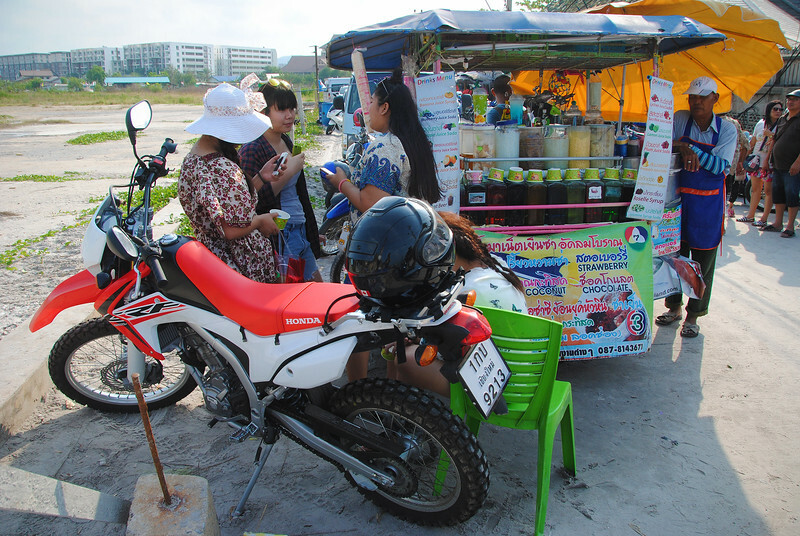 Hua Hin is only three hours from Bangkok, but the rising heat of the late morning and the terrible seats of our CRFs force us to stop for the day. The ride is an uninteresting trek through a very urban landscape. 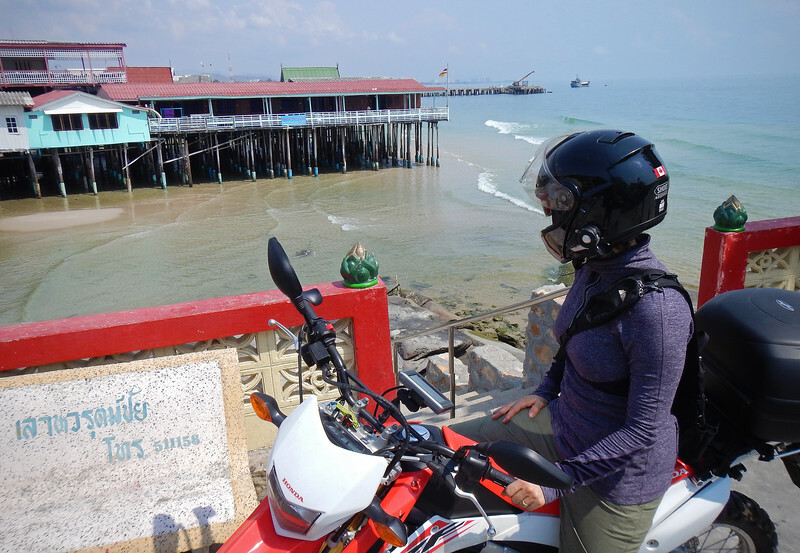 After getting settled into a small hotel outside of the city (cheaper), we traveled into town for food and to find a place to dip our toes into the ocean. 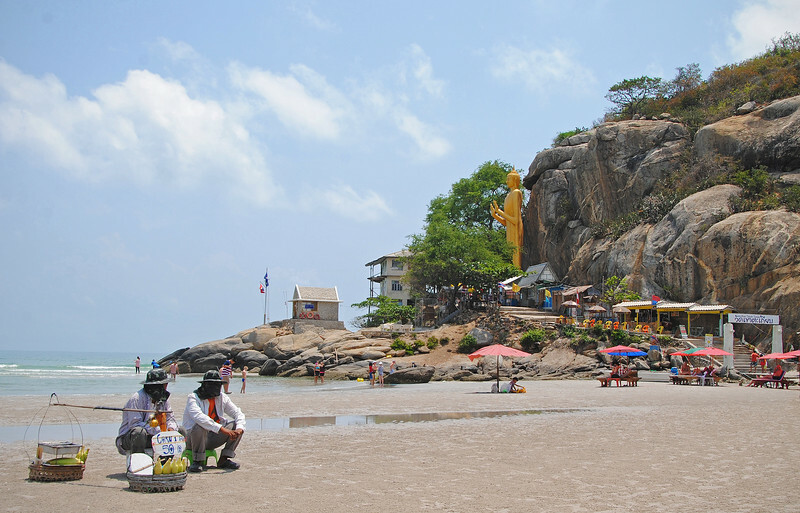 There are a few beaches in Hua Hin, and we hopped from place to place, heading further south until we found one that we liked. This was far away from the bustle of the city, very quiet place with nice sand to squeeze between our toes. There were beach chairs and umbrellas which we could rent for 100 baht ($3) for the day. 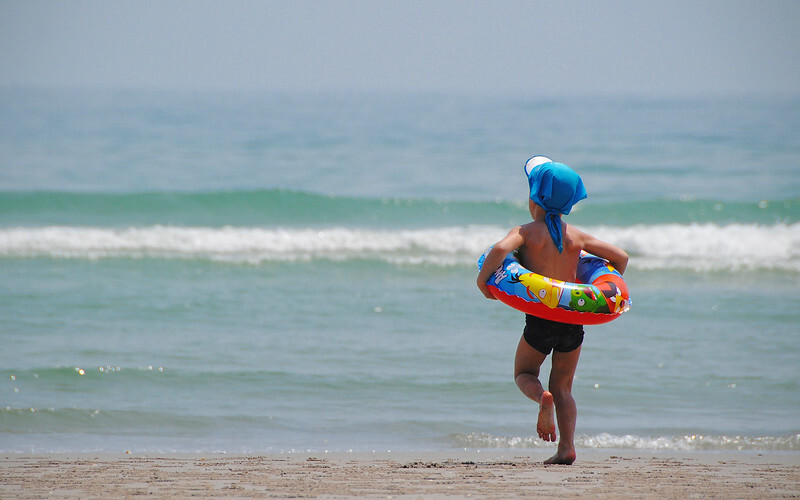 The weather along the coast is not as nice as the islands where we came from, but it's waay better than Bangkok. I don't know why I find these guys so fascinating. 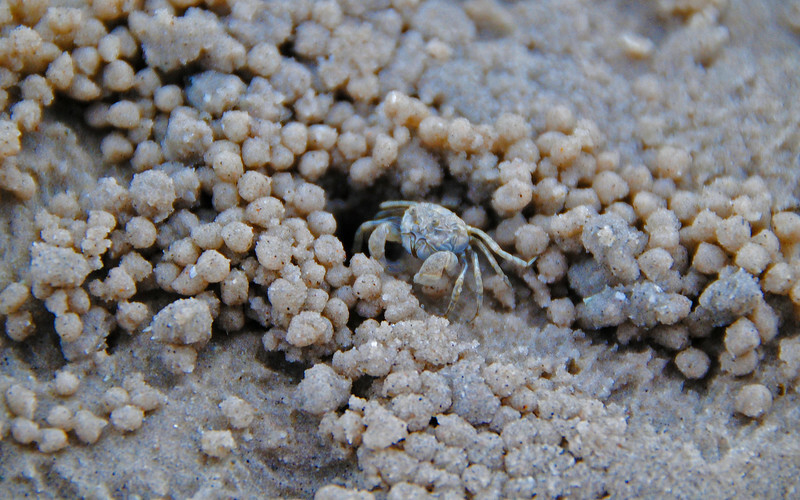 They use their front claws to dig through the sand in front of them and pass it through their mouth, filtering the food out. 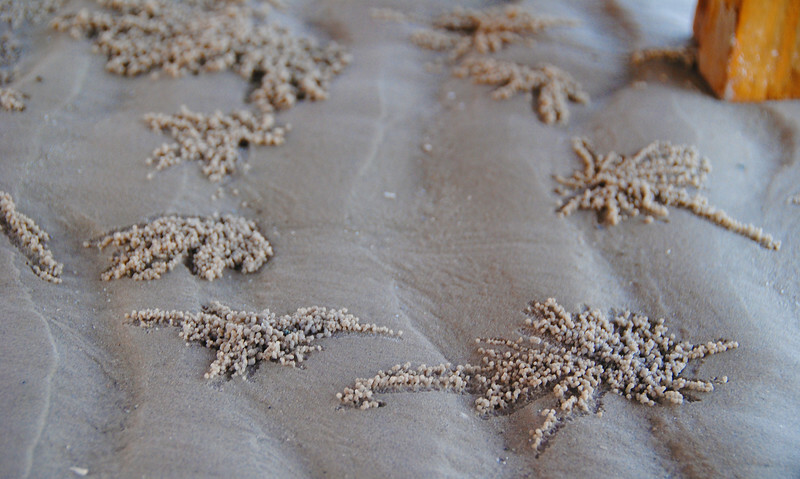 And then their hind legs roll the used sand up into tiny balls which it pushes behind itself. I guess so it knows not to go through the balled sand again. But it's the methodical way it travels from it's little cave, out in specific spiral pattern away from the centre that creates these cool patterns. I must have spent over an hour just watching these guys work. I'm a bit OCD in some ways (Neda has a million embarrassing stories about this so I'm glad she's not writing this blog), and this really appealed to me. In Thai culture (and pretty much all of Asia), light skin is seen as being more favorable than dark skin. Skin whitening products prominently decorate the shelves of the pharmacies. 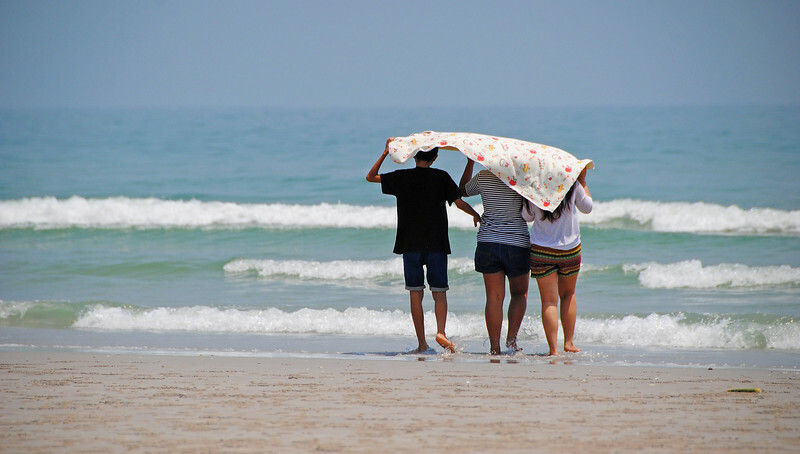 So almost all the Asian tourists on the beach were covered up in long sleeves and pants despite the 35C heat. And if they were wearing shirts and shorts, they would always be hiding under an umbrella. 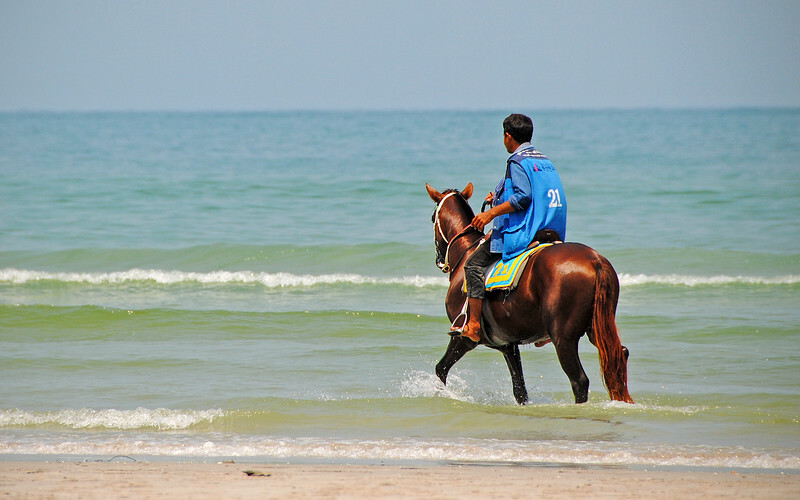 Hua Hin is just a short stop. Back on the bikes again, we're heading further south.